Have you ever thought about what would happen if you became incapacitated or died? What would happen to your home and other assets? Do you have a will and does your spouse know what your final wishes are? These are very difficult questions for most of us to talk about but think about how difficult these questions would be if your family was left to deal with them alone. An estate plan is a set of legal documents that will make sure that your final wishes are taken care of. A will is a legal document that directs the disposition of your assets after your death and directs the appointment of guardians for children under the age of 18. When there is no will, the state where you live will decide how to distribute your assets according to the laws of that state. This process is know as probate and varies from state to state. Some states have an expedited process for estates under $50,000 which can ultimately save the estate fees. In order to avoid probate, it's important to work closely with an attorney to draft a will that carry out your final wishes. Some assets like life insurance, IRAs, 401ks, and other investment accounts, allow you to designate a beneficiary and avoid probate. For assets not included in a will and do not have a designated beneficiary, will have to go through the probate process. A durable power of attorney is a legal document that allows someone to handle your affairs if you become incapacitated. There are three variations: Limited Power of Attorney, General Power of Attorney, and Medical Power of Attorney. Limited Power of Attorney. Also known as a special power of attorney, gives someone authority to act on your behalf in a limited way, as detailed in the document. General Power of Attorney. Gives someone broad authority to make legal, medical, business, and financial decisions for the principal. Medical Power of Attorney. Gives someone the authority to make decisions regarding medical care and treatment if you become physically or mentally incapacitated or unable to make those decisions yourself. A power of attorney typically expires when: 1) has an expiration date, 2) you revoke it, 3) you become mentally incompetent, or 4) if you die. A durable power of attorney allows the document to remain in force after the principal becomes mentally incompetent. A living will, or advanced healthcare directive, is a legal document that spells out what care is to be administered if you become terminally ill and will die in a short period of time without life support. It becomes effective only after you are unable to communicate your wishes. Creating a will on your own can be a duanting task so it is wise to have your legal documents reviewed by a firm that specializes in Estate Planning. Creating a complete estate plan provides you with the knowledge that your wishes will be carried out and your family and loved ones will not have to deal with these difficult issues alone. Do you have common Estate Plan documents such as a will, durable power of attorney or living will? 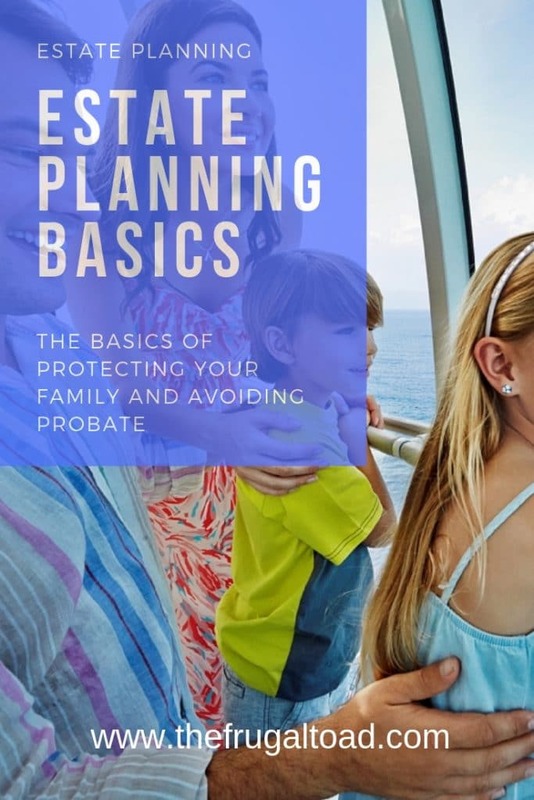 Great post for explaining what an estate plan actual does and how to make sure that people are actually reminded that they can put one in place with a few simple steps. I unfortunately think about this way too much. I studied and worked in Wills and Estates when I was younger but still do not have my own will or trust written up. It is on our to-do list for this fall. It’s a lot of work too. That’s great you have that knowledge behind you, drafting your will should be that much easier! No matter how old you are, it is never to early to put an estate plan in place. 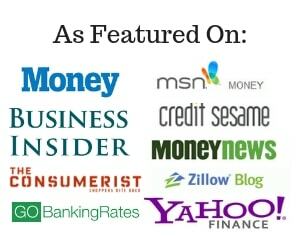 Thanks for this article, it reminded me that I need to update the beneficiaries for all of my accounts! The earlier the better but you want to have one in place to protect your assets. You are way ahead of the game! Don’t forget that your beneficiary designations take precedent over will and you need to make sure they are updated! I have been delaying my estate planning for many years now. I really hope to get to complete this in 2012. I will be sure to follow your advice listed in this post. Thanks. I have a Last will and testament, living will, durable power of attorney and a trust. These documents are must have documents to ensure your estate goes to where you want it to go. Luckily my mom and dad have they estate in order. I have copies of their wills, power of attorneys, and health directives. She also put a chunk of money in an account that will be used in case something happens and they will need cash but cannot get to it themselves. I do not have a will yet. tsk, tsk…. Don’t forget looking over any 401k’s, IRAs, and insurance policies that require a beneficiary form to be filled out. Just to make sure the beneficiary is the same person you want getting that money, since the designation takes priority over any will. A simple will can be done by yourself for not much money. If you have acquired property and have a complicated estate, getting a lawyer involved is a good idea. Congratulations on the upcoming wedding Jeff! As you and your wife acquire assets over time a will becomes more important. State laws also impact disposition of your assets and in Arizona we have community property law which means that property acquired while married is split 50/50. Property acquired prior to marriage stays with the owner. Good point KC. My Mother let us know her wishes before she passed away and it made the administrative part of death easy. Great point about pets Aloysa as many people have pets and might not think about that aspect when putting together a will or trust. Great example as to how a will can give you peace of mind. I need to do a health care directive myself! Thanks for the reminder. This is one of the things that is on our winter to do list. We need to get this done. We don’t have kids yet so it isn’t quite as critical but it is still something we should have in place. Guess what? Immediately after I was out of hospital we made a will and changed it when I was carrying our son. It is all settled now. And I am isured up to my eyeballs (local expression, this one; means ‘loads’). We barely came up with a will a couple years ago when we were taking a big trip to China. I just got thinking what happens to our pets if we don’t come back. Well, that what got me started. Great artcile! People don’t think about stuff like this untill it is too late. In addition, I want to set up my funeral arrangements for my wife and myself. It is always difficult to take care of those things when the loved one dies. Yes, estate planning is very important. I need to spend more time with this in the future, but as of right now, my wife is the beneficiary on everything, so I have put it off. 🙂 Don’t we all? Great advice -this is really something for me to start thinking about now that the year is ending and I’m getting married.